The U.S. Defense Department awarded a more than $12 million contract for “emergency runway repairs” at Camp Baledogle, Somalia, last month. Camp Baledogle was the subject of a Foreign Policy Magazine exclusive this year in which it was described as a training base for Somali Army commandos. The trainers were reported to be U.S. contractors working for Bancroft Global Development. Now, the new runway repairs appear to be stepping up the capabilities of the airfield there, and could be the harbinger of an expanding U.S. foot print in Somalia. U.S. Africa Command confirmed to Air Force Times that it operates the facilities at Camp Baledogle alongside African partners, but remained scant on details regarding what aircraft currently, or are planned, to fly from there. “These repairs are needed due to years of wear and degradation due to inadequate maintenance,” said Mike Andrews, the public affairs director for Naval Facilities Engineering Command Atlantic, which executed the military construction contract for Camp Baledogle. “The repairs referred to in our press release will consist of full depth patching and overlay of the runway,” Andrews said. He also provided the specifications for Camp Baledogle’s runway: 10,092 feet by 140 feet and made of asphalt. Andrews referred all other questions about armed aircraft, whether manned or unmanned, that fly from the site to U.S. Africa Command. That combatant command “owns” Camp Baledogle, he said. The United States has carried out more than 20 airstrikes against al-Shabab militants in Somalia this year. One incident occurred in September, after U.S. and partner troops came under attack 37 miles west of Mogadishu, the country’s capital. On April 20, Air Force pararescue airmen conducted their final jump over Royal Air Force Lakenheath, England, before their units — the 56th and 57th Rescue Squadrons — permanently moved to Aviano Air Base, Italy. Two militants were reportedly killed by that airstrike. However, “we do not discuss where strike platforms originate from as a matter of operational security,” Weist said when asked whether armed aircraft were flying from Camp Baledogle now. Mikael Lindvall, Sweden’s former ambassador to Somalia, posted pictures of Camp Baledogle from a verified Twitter account in January 2017. “I’ll add that we will continue to work with our partners to support AMISOM and the federal government of Somalia in its effort to bring improved governance, development and stability,” Weist said. AMISOM is a United Nations-backed African Union mission to defend Somalia and bolster its government forces as they battle internal terrorism threats from al-Shabaab. The African Union has a combined contribution of roughly 22,000 personnel in Somalia. By comparison, al-Shabab has an estimated strength of 7,000 to 9,000 fighters, according to the Council on Foreign Relations. The incident occurred 37 miles west of Mogadishu, Somalia's capital. “Our strategy in East Africa is to enhance partner capability to ensure that violent extremist organizations, who wish harm in the region, are contained," Weist said. Additionally, in early June, one U.S. soldier was killed and four more were wounded during an attack by al-Shabaab militants that consisted of small-arms fire and mortars. That attack occurred in southern Somalia’s volatile Jubaland region. The company contracted to complete the repairs at Camp Baledogle is URS Group Inc., out of Morrisville, North Carolina. At the same time as this new $12 million project kicks off in Somalia, the U.S. Air Force is close to opening Niger Air Base 201 on the edge of the Sahara Desert. That base’s total cost will be roughly $98.5 million, according to Air Force Capt. Mayrem Morales, a U.S. Air Forces Africa spokesperson. 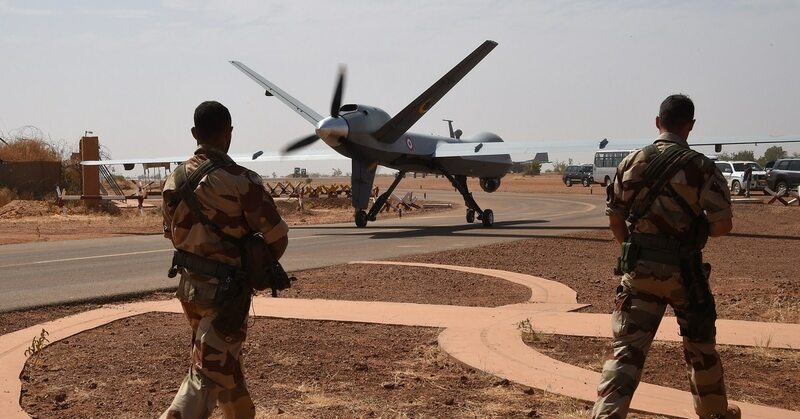 The base will eventually house the U.S. armed drone mission in Niger that currently operates out of Niger’s capital, Niamey.